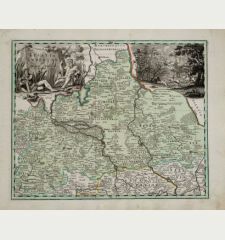 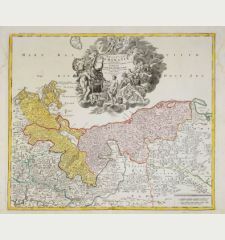 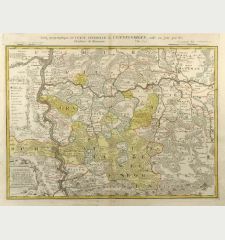 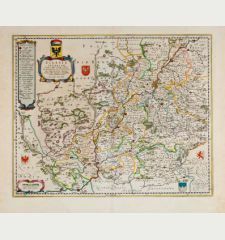 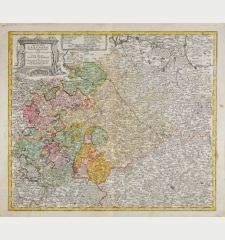 Beautiful large scale map of lower Silesia, centred around Sagan (Zagan). 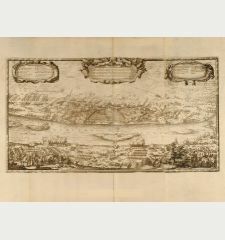 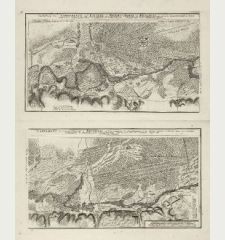 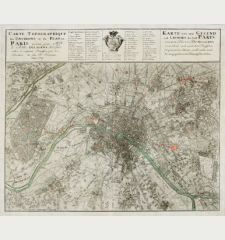 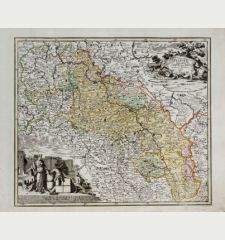 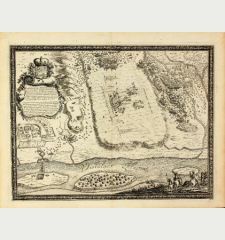 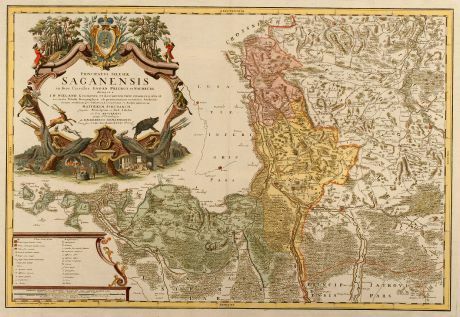 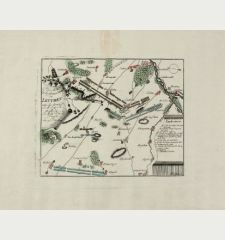 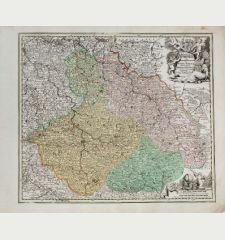 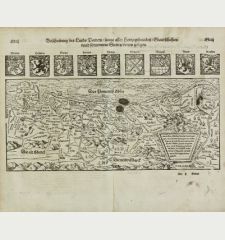 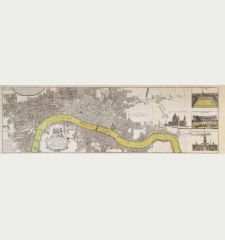 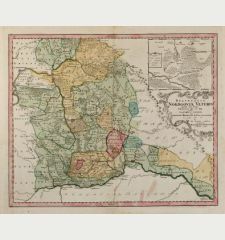 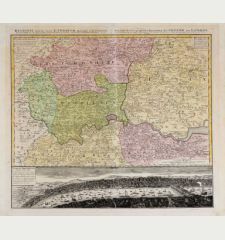 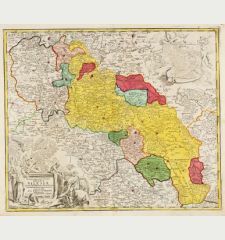 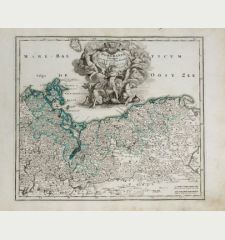 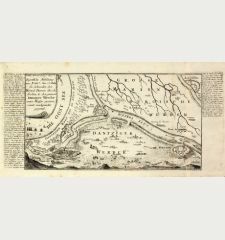 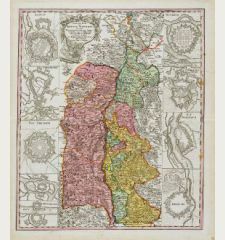 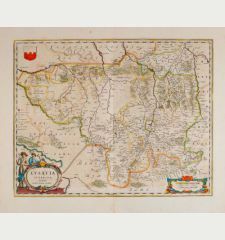 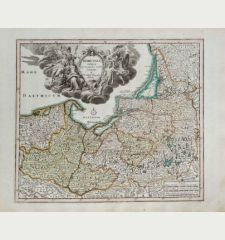 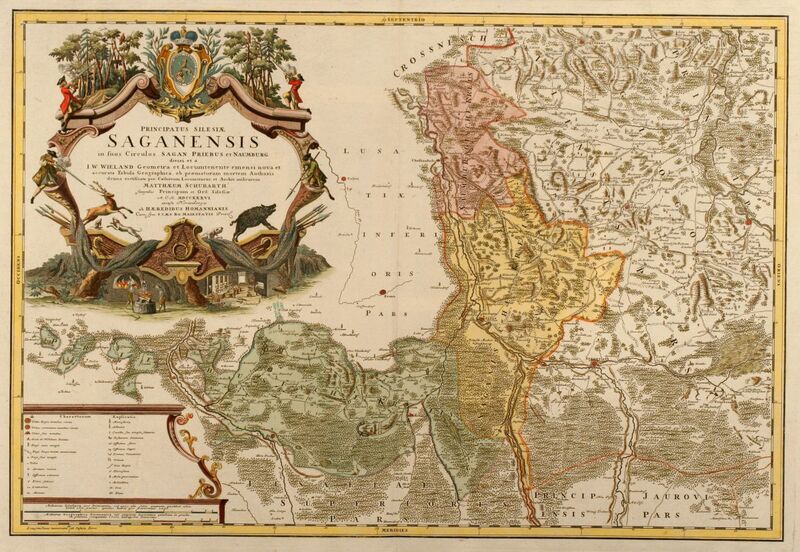 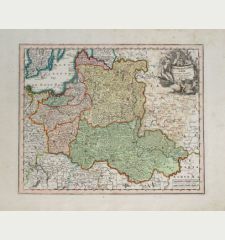 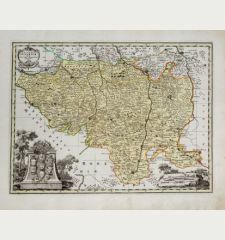 Published in Atlas Silesiae 1750, but map already engraved 1736. 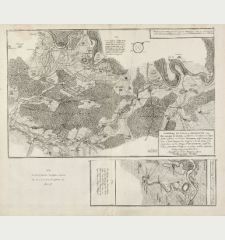 Land survey was done by J. W. Wieland, corrected by M. v. Schubarth, grid was developed by Prof. Hase (C. Sander). 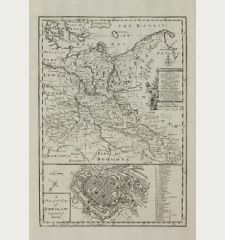 With a large very attractive cartouches. 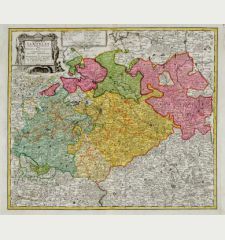 Beautiful original coloured. 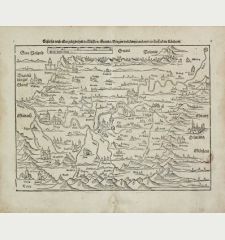 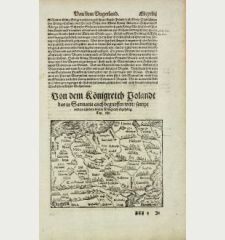 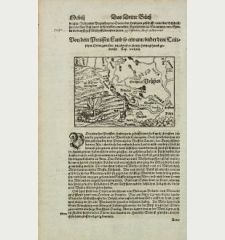 Homann Erben: Principatus Silesiae Saganensis.